H. Frazier Hunt, 82 of Aledo, Illinois died Friday, December 15, 2017 at Heartland Healthcare Center in Moline. Services are 11:00 A.M. Wednesday, December 20, 2017 at Fippinger Funeral Home in Aledo. Burial is in the Aledo Cemetery. 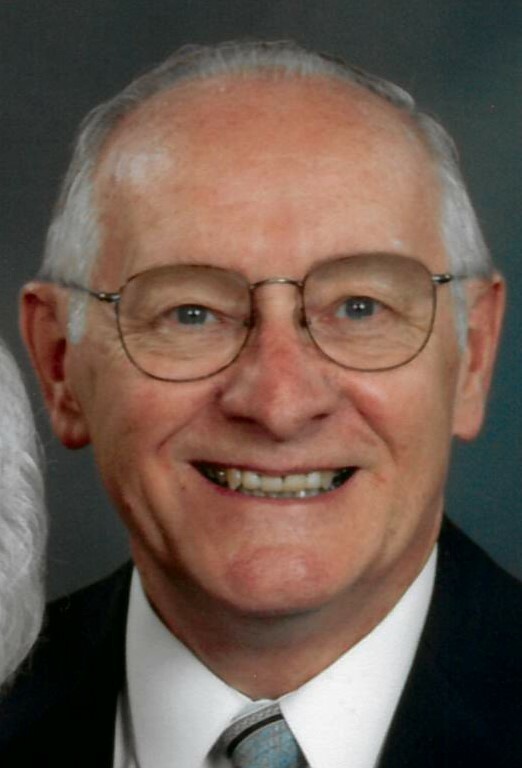 Visitation is 4-7 p.m. Tuesday at Fippinger’s where memorials may be left to the Aledo United Methodist Church, Trinity Presbyterian Church or the Honor Flight of the Quad Cities. Online condolences can be made at www.fippingerfuneralhome.com. He was born January 15, 1935 in Kansas City, MO. to Herald and Cora Wildbaker Hunt. He graduated from Aledo High School in 1952. He was united in marriage to Donna M. Ranney on January 2, 1955 in Aledo, Illinois. She died April 4, 2015. He was a U.S. Army Veteran serving in Alaska from 1954 to 1956. Frazier began his career in the automotive industry working for his father-in-law, Harold Ranney, at Ranney Cadillac and Pontiac in Aledo. He was then employed as Service and Parts Manager for the Anderson Motor Company in Aledo and retired from the Essig-Uftring Superstore in Aledo. His memberships include the Aledo United Methodist Church and the Aledo Exchange Club. Frazier had a wonderful sense of humor and a keen interest for World War 2 history and facts. He attended many air shows throughout the years and had a special love for the B-17 Bomber and P-51 Mustang. He was grateful to attend an honor flight and enjoyed bowling, collecting pens and dog-sitting for friends and neighbors. He was preceded in death by his parents, wife Donna and one brother, Donald Hunt.